Having spent four seasons (2007-2011) in the Bundesliga with Gelsenkirchen giants Schalke, Barcelona midfielder Ivan Rakitic knows Bayern Munich's strengths only too well and has tipped Jupp Heynckes' side as "a candidate" to win the UEFA Champions League. Bayern lifted the Bundesliga twice during Rakitic's time in Germany and in 10 career meetings with the top flight's record champions, the Croatian midfielder has only been on the winning side twice. The most recent of those occasions came in the semi-finals of the Champions League in 2015, when Rakitic's current employers Barcelona beat Bayern – then managed by Pep Guardiola – by a 3-0 scoreline on home turf en route to lifting the trophy in Berlin. Watch: Bayern won an unprecedented treble under Heynckes in 2012/13! While a repeat meeting remains in the realms of the hypothetical as things stand – Barcelona face Chelsea in the Round of 16; Bayern meet Besiktas – if it came to it, Rakitic has admitted he would be wary of meeting the Bavarians, who knocked Barcelona out 7-0 on aggregate under Heynckes in 2012/13. Indeed, Heynckes has something of a golden touch in the Champions League and in three seasons coaching in the competition (1998, 2012, 2013), he has never failed to reach the final, with Rakitic highlighting the 72-year-old's influence as a reason for Bayern's recent upward curve. 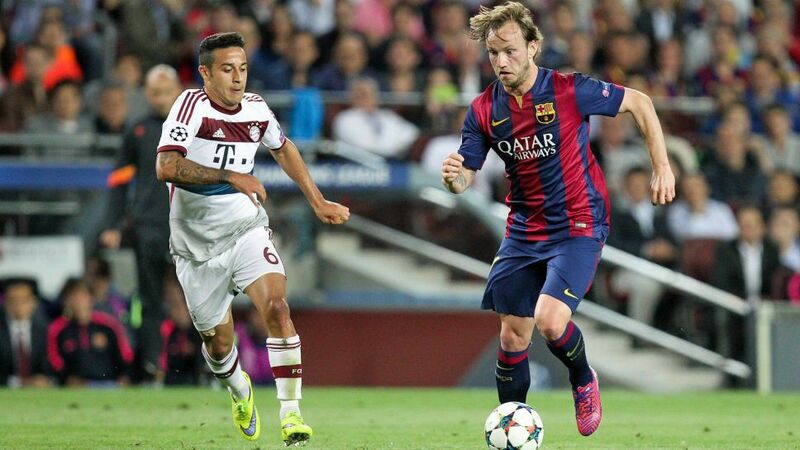 "Bayern are always there or thereabouts and we know Bayern well," Rakitic told German tabloid Bild. "From that point of view, we know that it will be very, very hard [to win the Champions League]. For me, Bayern are always a candidate for the trophy. "They've been given a fresh lease of life since the new coach took over and from that point of view I wish my old friends who are there all the best. Perhaps we'll meet each other."